Skyscraper Window Cleaning provides top quality high-rise residential windows cleaning, dealing professionally with all challenges associated with this job. Our team of cleaning experts is trained to overcome all difficulties without putting ourselves at risk. That is why we apply the latest technology in the cleaning industry that helps us meet all expectations of the clients for precise cleaning of high-rise residential buildings. The window cleaning system we use is called High Rise and is self-climbing. We chose to invest in such a windows cleaning machine due to the numerous advantages it offers. They are equally important for our clients too. 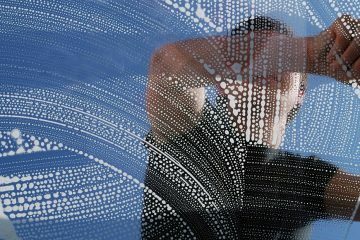 The cleaning system does not leave any scratches or marks on the glass while it moves from window to window. It provides thorough cleaning of windows and frames. It extends the life of the building. It saves money and time for cleaning. It works only with water without any chemicals. 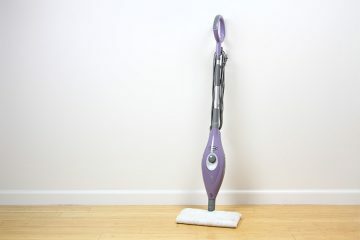 Our cleaning professionals are safe while they apply a remote control. 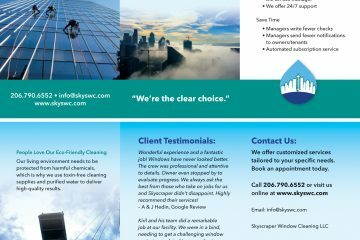 Currently, Skyscraper Window Cleaning is the only company in Seattle to offer this cost-effective and completely safe cleaning of high-rise residential buildings. Our window cleaning method allows us strictly adhere to the safety standard for the high-rise window cleaning. Why Private People in Seattle Prefer to Turn to Skyscraper Window Cleaning? 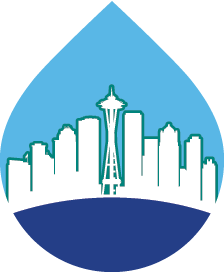 Not all the window cleaning companies in Seattle are able to offer high-rise residential windows cleaning, as it is too risky for the cleaning technicians. We are the only company in the region that have resolved this problem the smartest way possible, by using the High Rise window cleaning system. That enables the technician to control the work of machine remotely and to clean even the most remoted places and corners. It is completely risk-free and leaves the glass surface and the frames bright shining of cleanness. The best part of it is that we offer more affordable window cleaning service compared to our competitors, as our technicians do not take any health risk during the cleaning process. Yet, we can boast with top quality window cleaning that involves no harsh chemicals. Our cleaning machine works with pure water only, so you don’t have to worry about any consequences of cleaning on the surrounding environment or on your health. We are aware that private people are too busy to call window cleaning professionals every now and then. By using our services, you do not have to do that! Our high-rise residential windows cleaning is guaranteed to have a long-term effect that will last for long months. In fact, it will last longer than if chemicals were involved in the process of cleaning. Private people in Seattle can entrust us their windows whether they are to be cleaned inside or outside the building. We guarantee that all the glazed window surfaces will become shining of cleanness making a huge difference in the outer look of the building as well as the premises inside.